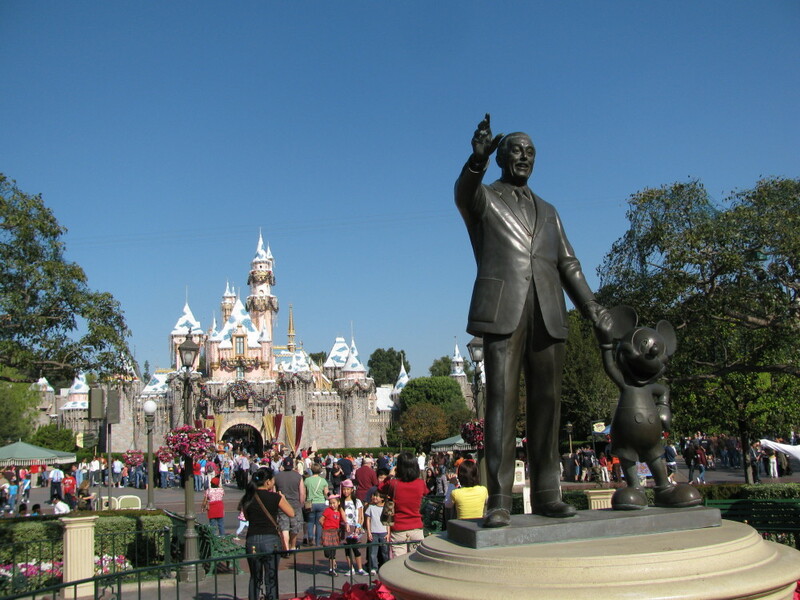 I have always loved Walt Disney and I knew that he and his company were loved by many. This made me believe that if I asked around I would get positive reactions from many people. I also had always noticed the lack of controversy pertaining to Disney. For a company that owns such a large portion of the television, movie and amusement park industries you never really see them in the paper for negative reasons and there are not many articles bashing the influence or life lessons taught by Disney. It is true that occasionally you see some blogs or websites post articles that Disney teaches children that love from a man can solve any problem and other concepts along that line but even that controversy was squandered when they recently released Frozen. My interviews affirmed my thought that Disney had an enormous impact on society and those whom have been the parks or seen the movies in their childhood had positive things to say. But, there are some people who did not have Disney in their lives and who have never really seen the movies. There are also some people who enjoy the movies and respect Walt but who do not like Disney and who do not agree with the size of their company. My research and interviewing showed me I was correct but also that I could be wrong at the same time; Disney can be controversial and did not impact every single person. This taught me the very important lessons that something or someone can have a huge impact and still not impact everyone or everything as well as no one or company is capable of perfection. We live in a world where our celebrities, athletes, businessmen, politicians even doctors are expected to never make a mistake and if they do it can ruin their careers. How is it fair to damage business or limit someone’s credibility based on one mistake? No one is perfect. I think that many people know that no one is perfect but often expect a company or influential person to be perfect and when they make one mistake, it is the end of the world. But companies are run by people and politicians, athletes, celebrities and doctors are not a concept or superhuman, no one is perfect and for our society to expect perfection is unrealistic. It was very hard for me to accept that my hero, Walt Disney, may have been anti-semantic or a racist and to accept that his company (that he worked so hard to create) isn’t perfect. But I am not going to let that knowledge ruin my love for the company or let it taint my thoughts on Walt because I cannot expect perfection of everyone and everything. On the same note, when something bad or good happens to expect that everyone will feel the same way and everyone will be affected isn’t fair. It doesn’t make someone ignorant to not react or feel the same way as you and it does not make someone a bad person or unintelligent to choose not to enjoy the same movies or go on the same vacations. that those who like pop music lack the emotional depth to appreciate classical music. It became apparent that even when we think we accept each other’s differences we may not and I think that it is something very important to consider. Becca Belenchia is a senior at Clayton A. Bouton High School.